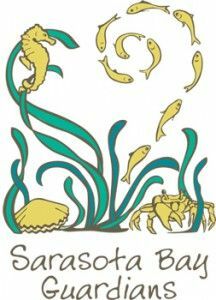 The Sarasota Bay Estuary Program (SBEP) will host a Bay Guardian volunteer event at North Water Tower Park on Saturday, February 7 starting at 9am. Volunteers will be removing air potato which is an invasive vine that covers and shades beneficial native plants. There will be a contest with prizes for the smallest, biggest, weirdest-looking, and most air potatoes collected. The park is located at 4700 Rilma Ave., Sarasota, FL 34234. The volunteer event will also be the kickoff of a three-year restoration, stormwater improvement and environmental education project at North Water Tower Park. SBEP, Sarasota County, and the City of Sarasota are the managing partners of the project and will be available for questions from the media. The project was made possible from two grants. Funding was awarded to SBEP from the EPA Gulf of Mexico Program for community engagement and education, exotic species removal and beautification elements. Sarasota County was awarded a grant from the Southwest Florida Water Management District for design and construction of the stormwater improvements. The planned improvements are part of a proposed North Water Tower Park area Master Plan initiative within the City Commission’s adopted Fiscal Year 2014-2016 Strategic Plan. One of the goals is to improve park access for residents in the nearby Bayou Oaks Neighborhood, plus heighten natural surveillance within the park using Crime Prevention Through Environmental Design (CPTED) principles. The City’s Urban Design Studio recently conducted a comprehensive review of the neighborhoods that surround North Water Tower Park and identified them as a catalyst area which could experience zoning code changes using a new form-based code, prior to implementation in other areas of the City. Proposed form-based code concepts will be on display during the event and staff will be available to respond to questions. Please contact Sara Kane at Sara@SarasotaBay.org to learn more about the project.